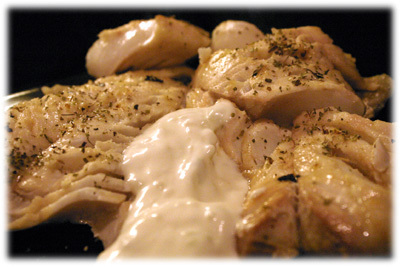 Grilled fish recipes are very popular and this haddock recipe has become a real favorite with the visitors to tasteofBBQ. 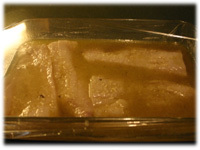 I think one of the reasons is that haddock has a fairly neutral flavor on it's own and when used in a recipe like this takes on whatever tastes you want. When you use the juice from real lemons and combine that with olive oil, garlic and oregano you're making a powerful 30-minute Meditteranean marinade that transforms the haddock. The marinade is powerful and it takes no time at all to absorb the flavors so 30 minutes really is all it takes, no more than 1 hour. 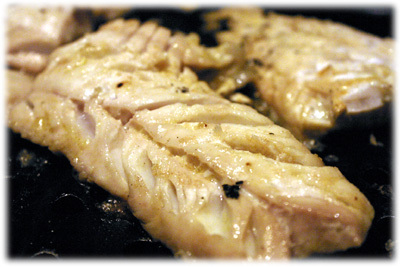 Haddock is very quick to cook so don't expect to spend more then 6 to 8 minutes from the start of grilling until you're finished. 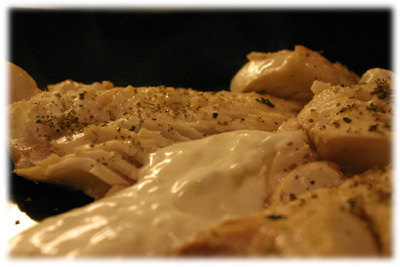 The picture above shows the haddock recipe just after it's cooked, sprinkled with marjoram leaves and served with Tzatziki sauce. Note: for best results marinate less than 1 hour. 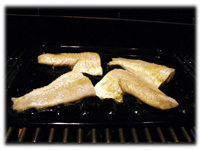 Tip: instead of placing the haddock directly on the bbq grates consider using a grilling plate or grill topper, usually a teflon or porcelain perforated rectangular plate. 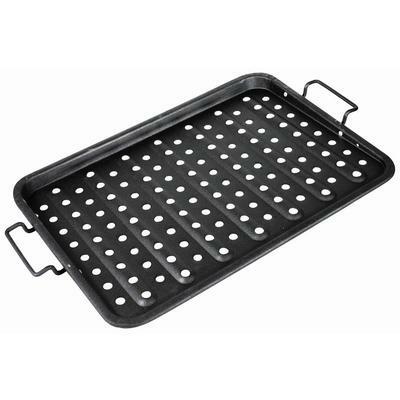 This makes cooking it so much easier and helps prevent pieces from falling through the grates when you flip it. They're inexpensive and sold at most big box hardware stores or BBQ retailers. Combine the marinade recipe in a small glass bowl and whisk together well to ensure the ground oregano blends in with the lemon juice and oil. Cut each haddock fillet in half (so you've 4 pieces) and place them in a shallow glass dish. 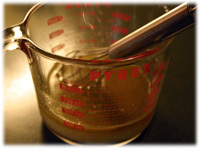 Pour the marinade recipe over each piece. 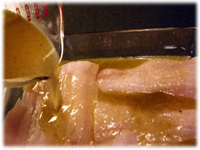 Turn the haddock several times to cover with the marinade then leave it fleshy side down in the marinade. Cover the dish with plastic wrap and refrigerate (no more than 1 hour). Preheat the grill to 600F. If you're using a perforated grill topper then oil it very well or spray with a cooking oil spray and place it on the grill to heat up. Once the BBQ is at cooking temperature place the marinated haddock on the grill (or perforated grill topper) and close the lid. After 3 or 4 minutes lift the lid, you should notice the fish is cooking. With a spatula carefully flip each piece over. Now you'll notice why you chose to use a grill topper! Close the lid and cook another 3 - 4 minutes. Remove the haddock when it's turned white and flakes easily with a fork. Sprinkle marjoram leaves over the fish and serve with Tzatziki sauce on the side.